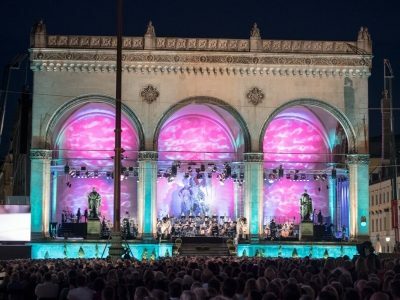 Performative music installation and choreography featuring the Bavarian Radio Symphony Orchestra. 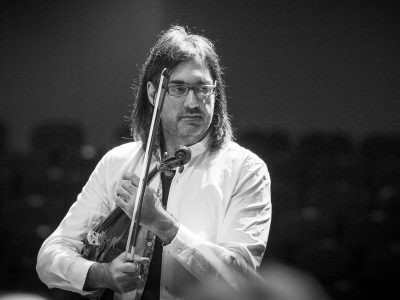 The artist and composer Ari Benjamin Meyers (b. New York, 1972) examines the structures that underlie the performative and processual form of all music. His conceptual compositions and projects explore the practical prerequisites that must be present for music to be made—the listener never even thinks about them, yet they inevitably inform the work of composers, conductors, and musicians. Meyers allows us to experience these foundations of the art of music by inquiring into how musical production comes about, how performers master and play an instrument. His creative output includes compositions, arrangements, musical notation as basic material, the characteristics of musical instruments, the gestures of singers, instrumentalists, and conductors, and performance situations. By letting us see and hear the practices of musicians and composers, by laying out the elements of music-making, he fosters a cognitive relation between musician and listener, establishing a new kind of interaction between both partners and disrupting the entrenched habits of the conventional concert business. Meyers’s “Symphony 80” was composed specifically for the Lenbachhaus. Produced in collaboration with the Bavarian Radio Symphony Orchestra, it examines the question of how to display the complexity of an orchestra—a sizable ensemble that is typically organized in accordance with a fixed arrangement of instruments and performs as a unit under the direction of a conductor—in an exhibition that allows the audience to observe not just the choric whole but also the specific contributions of its individual members. This display, moreover, is mounted not in the familiar venue of the concert hall or in a spectatorial performance situation but instead in a museum’s galleries. The orchestra will turn the entire Lenbachhaus with all its rooms into the scene of an orchestral exhibition-performance. The focus will be on the encounter with the individual performers, breaking with the customary definition of the orchestra as a collective and unified harmonic body. Though notated in traditional fashion, the score of “Symphony 80” is not executed in full detail, making it more of a generalized instruction to the performers. The contrast between polyphony and unison and the choreography of music and movement in the space are central to the piece. 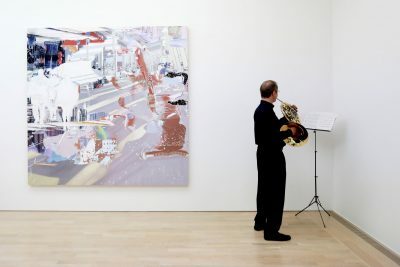 The musicians introduce themselves to the audience in the manner of soloists before scattering across the Lenbachhaus’s floors and galleries and gradually tuning in to their shared music-making. 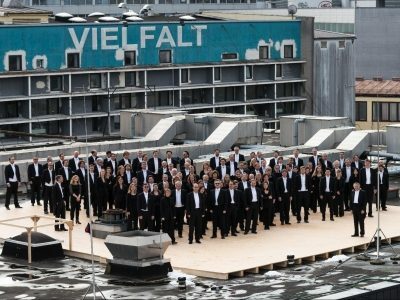 The audience, too, will roam freely amid the music and between the musicians, immersing itself in a three-dimensional analytical “image” of the orchestra for an encounter and experience that will be thoroughly unlike a typical concert evening. The artist and composer is interested in the social space that emerges between musicians and listeners when the usual setup in which musicians on a stage and audience face each other is abandoned. The participants on both sides—the listeners experiencing the music no less than the musicians performing it—can shape the dynamic dialogue between them. Over the course of the performance, the musicians come together in different locations to form varying constellations. As the listeners explore the music unfolding in the galleries, they witness a constantly shifting interplay of instruments and voices. The performance will run for four hours; visitors can start following it any point or take a break and come back. Kindly supported by the Förderverein Lenbachhaus e.V. and the Freunde des Symphonieorchesters des Bayerischen Rundfunks e.V.